Awnings aren’t just for homes, and they’re used for more than just protection from the sun and rain. Awnings are also used to enhance curb appeal for commercial properties, and boy do they succeed! Think about your favorite restaurant in Pennsylvania. It likely has an awning you can sit under and enjoy your meal during the summertime. Awnings can complete diners’ experiences, offering a shaded place and a comfortable setting to can enjoy a delicious meal and the gorgeous summer weather. It’s a win-win for your business and your patrons! Adding a commercial awning can be a benefit for other businesses as well. Beyond just improving your business’ curb appeal, a quality awning also offers additional space to promote your brand an even reduce your energy costs. 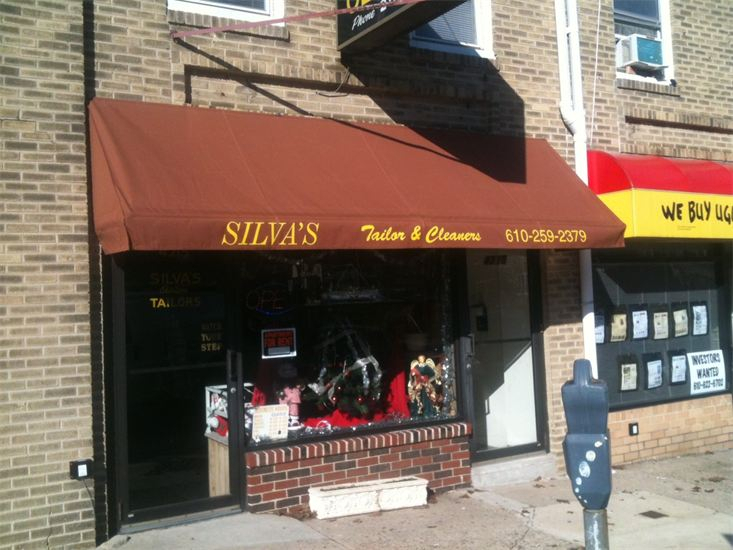 You’ll find awnings at commercial businesses all across Pennsylvania – both big and small. They help keep customers dry in inclement weather and offer protection from the elements, including harsh UV rays, rain and snow. Whether you have one giant awning above your entryway or above each storefront window, they can keep your structure and customers safe from the conditions outside. Of course, awnings are meant to add style to your commercial property, whether they’re actually used to protect your patrons from the outside elements or they’re just for looks. Compare one storefront with an awning and one without an awning and you’ll see what we mean. Awnings can attract potential clients as they show passersby that you care about the aesthetic appeal of your business. They can also display business logos, slogans, names, phone numbers and other important information to help provide advertising information to people near your business, helping to make a lasting impression on potential clients. Awnings are known for providing additional comfort within or outside a business as well. The next time you go to a restaurant with an awning during the summer, sit outside and enjoy the weather. Awnings can also add outdoor space for retailers, allowing them to hold a curb sale in the shade to sell seasonal merchandise or overstock items. Plus, an awning adds comfort inside by shading the sun-facing windows, reducing the warming effect of the summer’s sun and saving you money on your air conditioning costs. If you’re considering installing an awning at your workplace, call JM Finley today at 610-505-5907 to learn more and get started with your new commercial awning installation.